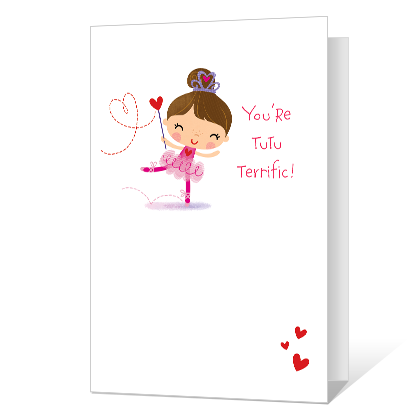 Cover Verse: You're Tutu Terrific! Inside Verse: It's Valentine's Day, so twinkle and twirl And shine like a star, sweet, lovable girl! Hope Your Day Sparkles with fun!